HOUSTON – (Realty News Report) – Mendocino Farms Sandwich Market, an upscale, fast-casual restaurant known for responsibly sourced, chef-driven sandwiches and salads, leased space in Hines’ 609 Main at Texas building in downtown. It will be the third Mendocino Farms eatery in Houston, which currently operates only in California. This summer, Mendocino Farms will open in Eden’s Uptown Park center and in the Village at 5510 Morningside Drive. Located in Hines building at the corner of Main and Texas streets, the concept will serve its menu of responsibly raised meats atop salads and in sandwiches, including vegan and gluten-free options, along with a variety of craft beverages. Mendocino Farms is slated to open there in the fall of 2019. Mendocino Farms leased 3,612 SF on the ground-floor at 609 Main at Texas, a 48-story, 1,073,075-SF office tower in downtown Houston. Hines was represented by Lacee Jacobs and Rachel Farris with CBRE while Mendocino Farms was represented by Jeremy Zidell of RUE and Zach Hoffer of The Retail Connection. “Mendocino Farms partners with the best farmers and food artisans to provide delicious food from the freshest ingredients. 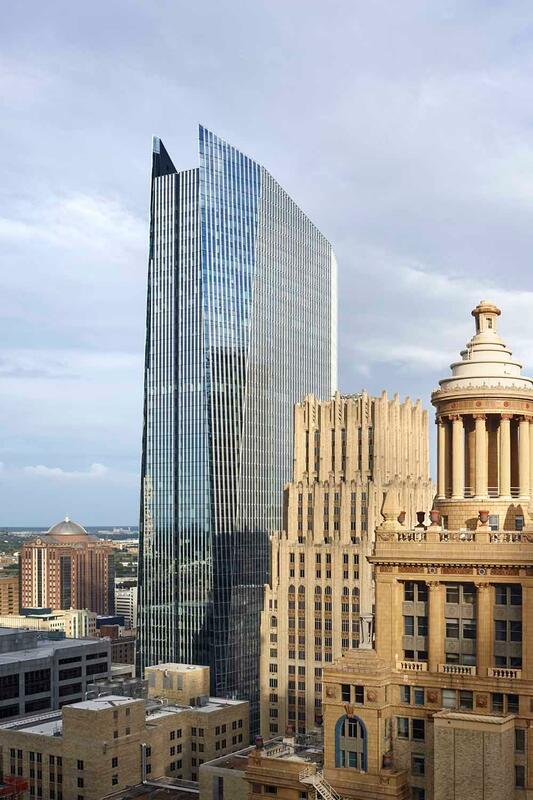 Downtown has a thriving retail environment, and we are excited to bring this California-based restaurant to our tenants and to downtown,” said Hines Managing Director Philip Croker. With this lease, 609 Main at Texas stands at over 70 percent leased. Other notable tenants include Kirkland & Ellis LLP, Orrick, Hogan Lovells, McKinsey & Company, Russell Reynolds Associates, Royal Bank of Canada, Goldman Sachs, and United Airlines. Several additional transactions are in progress, Hines confirmed.